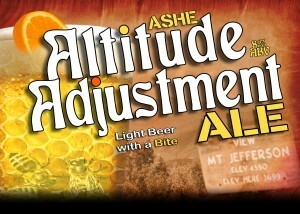 You can find our beers on tap at our Restaurant and Brew Haus locations year round. 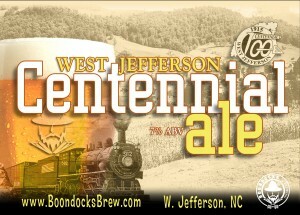 You can also sample our beers at various events that we participate in each year. 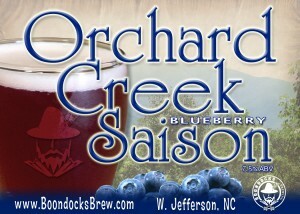 We do not bottle or distribute at this time. We do, however, offer growlers for off-site consumption. We pride ourselves on brewing unique and locally focused beers. The Water of Ashe County and West Jefferson is some of the best around. We work with local farmers to source some of the ingredients that we use and we also provide our spent grains to local farmers to feed their livestock. 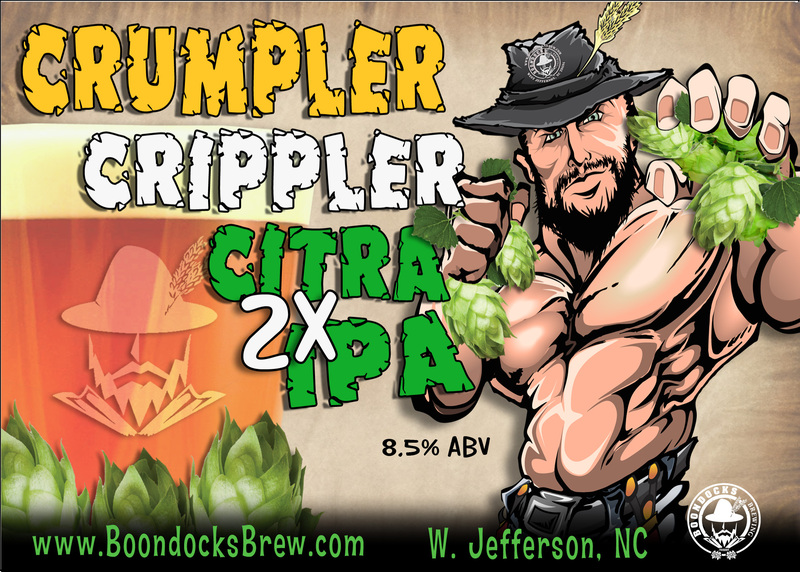 Hailing from an Ashe County gem, Crumpler, and Weighing in at 8.5% and packing a Crippling punch of around 90 IBUs of all Citra hops, this Double IPA packs a wallop without totally knocking your head off. A very drinkable IPA with the trademark citrus aroma and flavor of the highly sought after Citra hops. Best enjoyed fresh so we recommend you get in the ring for a round or two while it lasts. 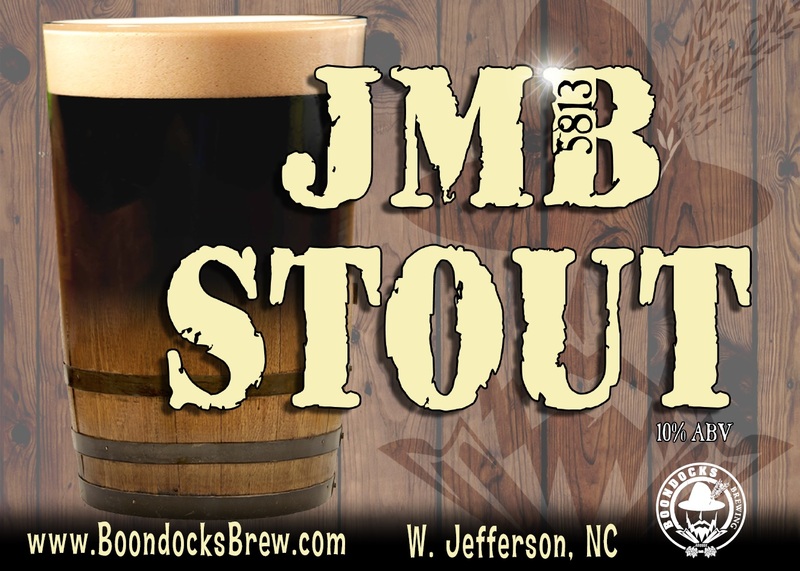 Named after our owner’s father, James Martin Brown, who passed away suddenly and unexpectedly the day that the first batch of this rich Chocolate Stout was brewed. 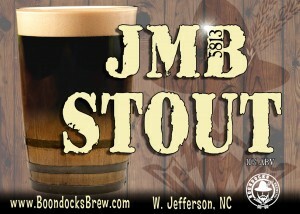 This Stout is brewed with 6 varieties of malted barley that results in a silky smooth, yet complex beer. 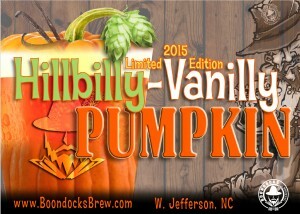 This beer pours out with a frothy tan head that would make Starbucks envious. It is loaded with chocolate and coffee aromas and pleasing malty notes. 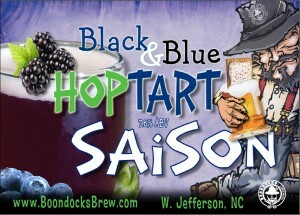 It has a rich mouth feel, is somewhat sweet and nicely balanced by the hops. This refreshing German style beer has a bright, straw-yellow hue, and a prominent but not extreme hoppiness. This style of beer is often compared to a German Pale Lager, although less bitter. 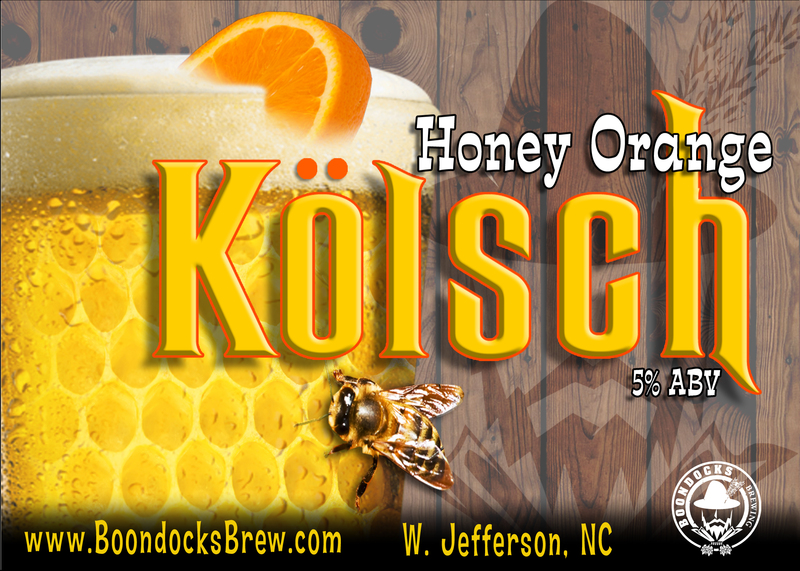 This Kölsch is brewed using Belgian Pilsner Malt, Vienna Malt and Crystal Malt which provides for a light beer with distinct malty notes. A combination of Magnum, Amarillo, Saaz and East Kent Goldings hops were used to provide a slight “bite” and floral aroma. 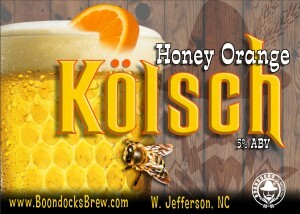 We add a generous amount of local Honey and "dry hop" with sweet orange peel to round out this local favorite. 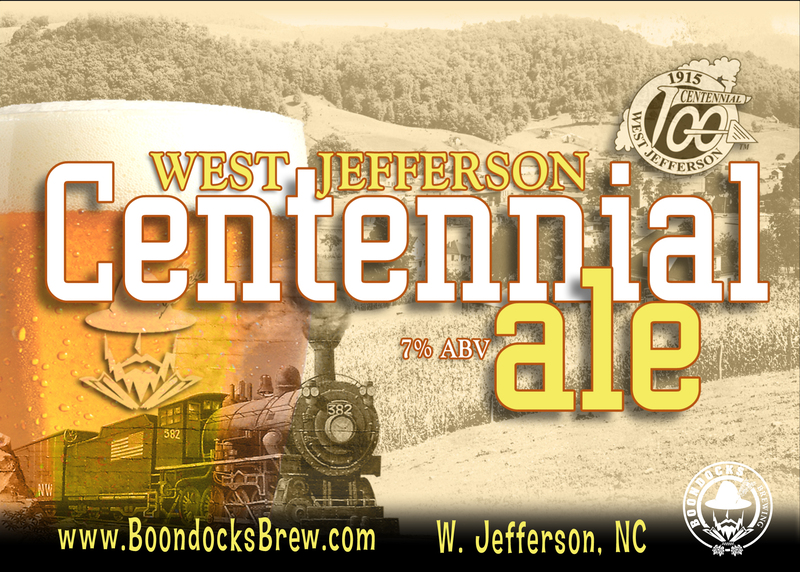 This Pale Ale style beer was first brewed for the February 9, 2015 celebration of West Jefferson's 100th Anniversary. 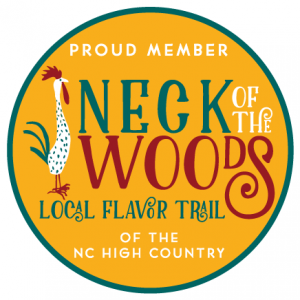 This unique beer includes local hops, local honey and just the right amount of needles and tips from local Fraser Fir Christmas Trees which Ashe County is famous for. 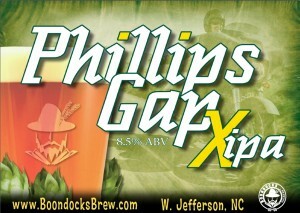 The result is a slightly hoppy Pale Ale with a very distinctive "something else" that creates a crazy balance. 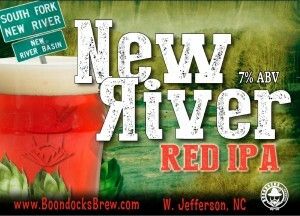 This beer quickly became so popular that it is now brewed regularly and is available year round. 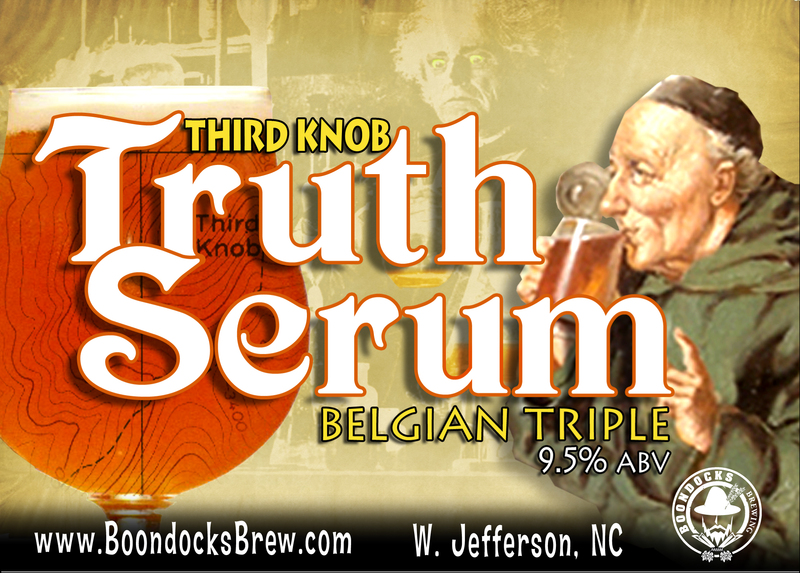 This unique Belgian Tripel style beer will have you sharing all of your secrets if you are not careful. A large amount of Pilsen Malt combined with a generous amount of Belgian Candi Sugar provides the base for our Abbey style yeast to do its thing. 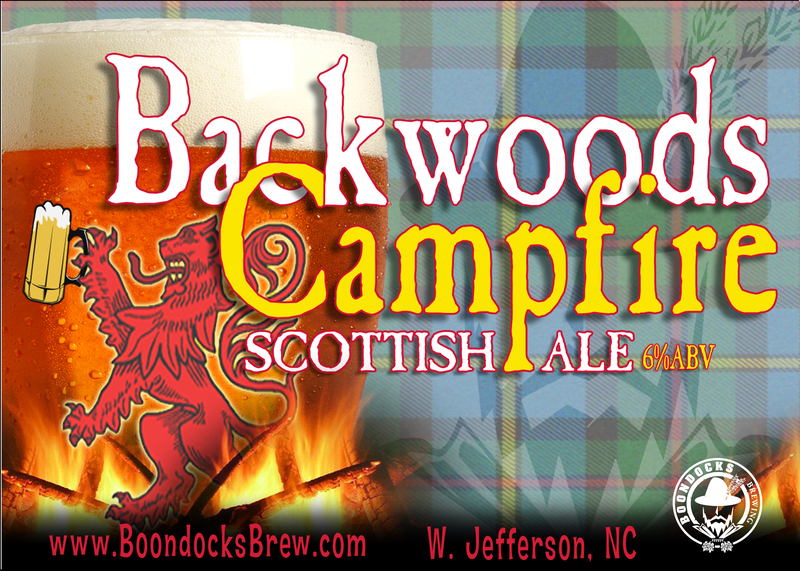 Just the right amount of Hops are used to provide a slight bitterness which is offset by the addition of Coriander seed and Orange peel, giving this Boondocks Brew it’s unique flavor. 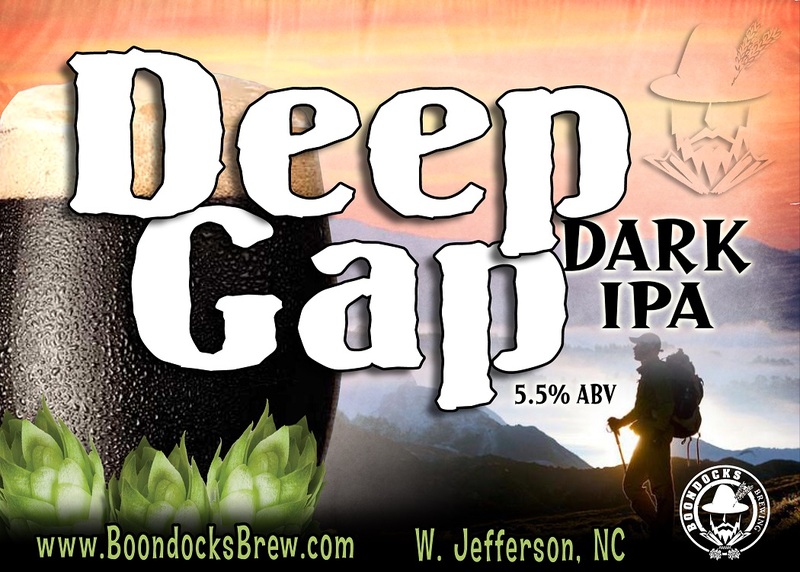 Given the “High Gravity” of this beer we felt it appropriate to reference Ashe County’s own Third Knob Summit (elevation 3930 feet), about where you will be if you have one too many. This special American Brown Ale celebrates the dedication and endurance of the riders of the Annual Blue Ridge Brutal Bike race held in Ashe County, NC each year. 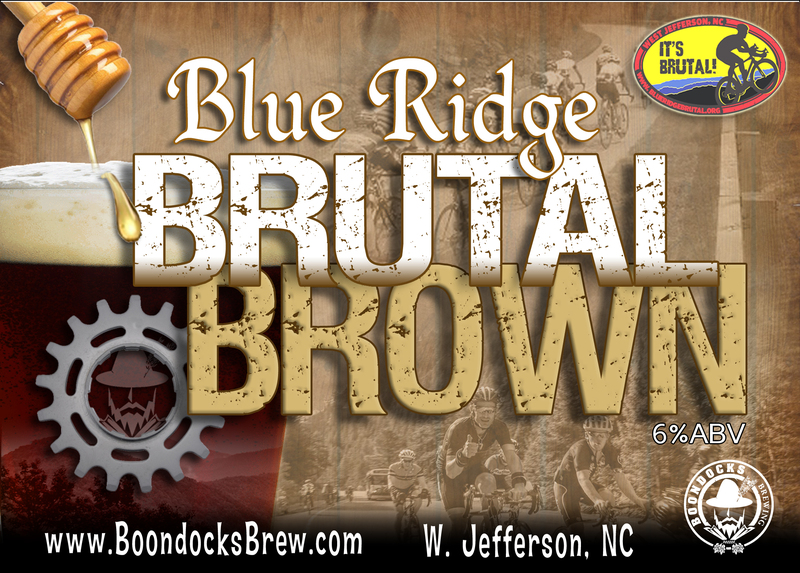 Riders can always count on Boondocks Brewing being at the finish line pouring pints of this popular Brown Ale that contains slight notes of nuts created by the combination of Biscuit Malt, Roasted Barley and specialty Malts and local honey. A hoppy East Coast style imperial red ale featuring Azacca Hops honoring Ashe County's own New River which is the third oldest river in the World. 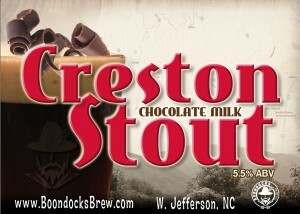 Using a hefty amount of Maris Otter Pale Malt and generous amounts of Chocolate Malt, Roasted Barley and Flaked Oats we created a unique Chocolate Milk Stout that is easy on the pallet and does not pack too powerful of a punch. 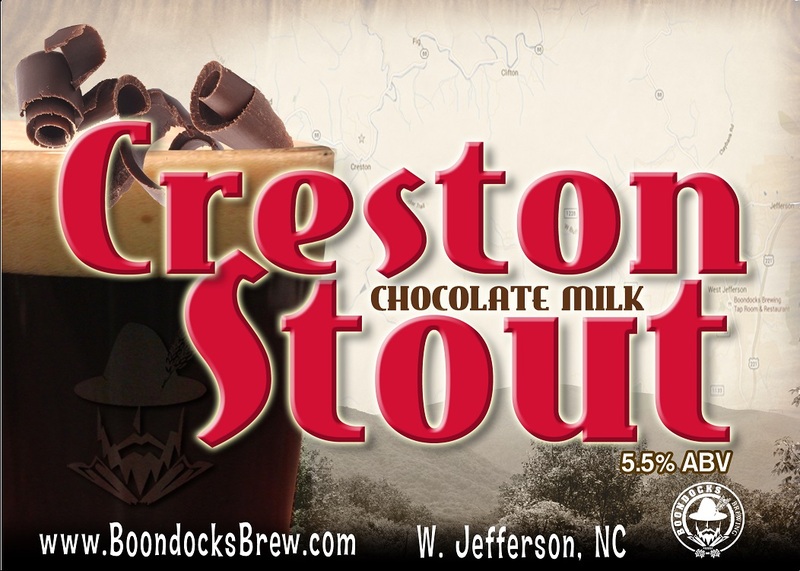 Note: We use Lactose Sugar in this beer for a creamy mouthfeel so if you have a Lactose dietary restriction we suggest you do not drink this unique stout. 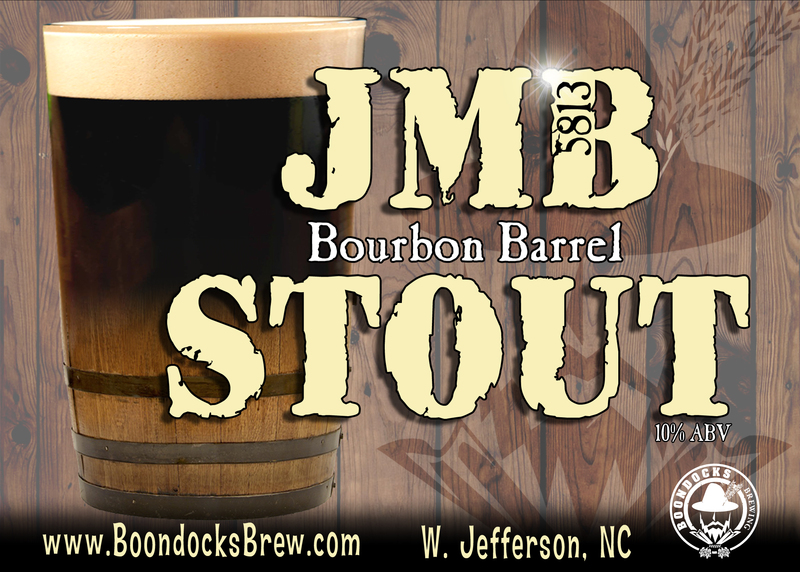 This is our JMB Stout, only it is aged for over a month in a Jack Daniel’s Barrel to further add to the complexity of this treat. Named after our founder and head brewer’s father – James Martin Brown who passed away unexpectedly (May 8th, 2013) the day that this beer was first being brewed. 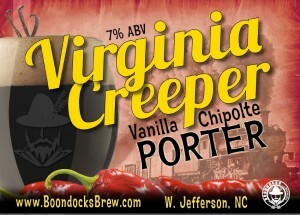 A Porter with a little punch. 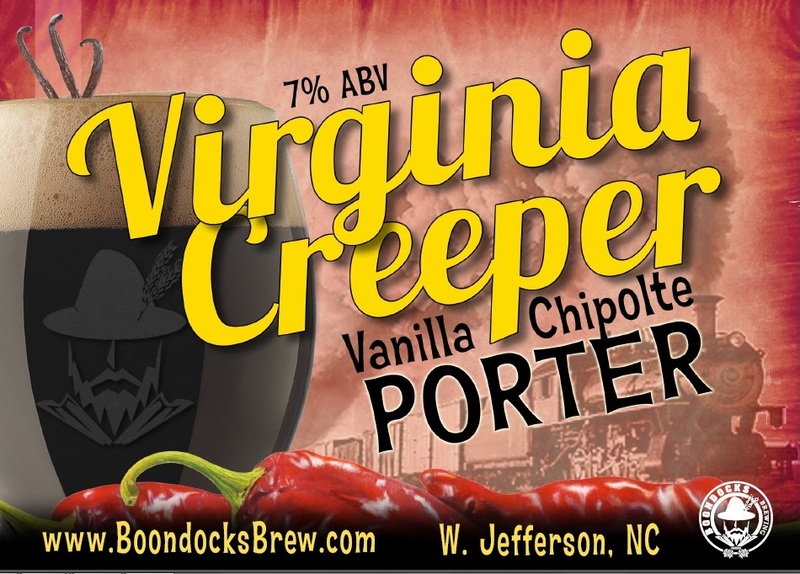 Unlike some other "pepper" beers that aim to knock your teeth out with pepper, we simply add just enough Chipotle Peppers to let you know it is there while maintaining the smooth taste and texture of this Porter. 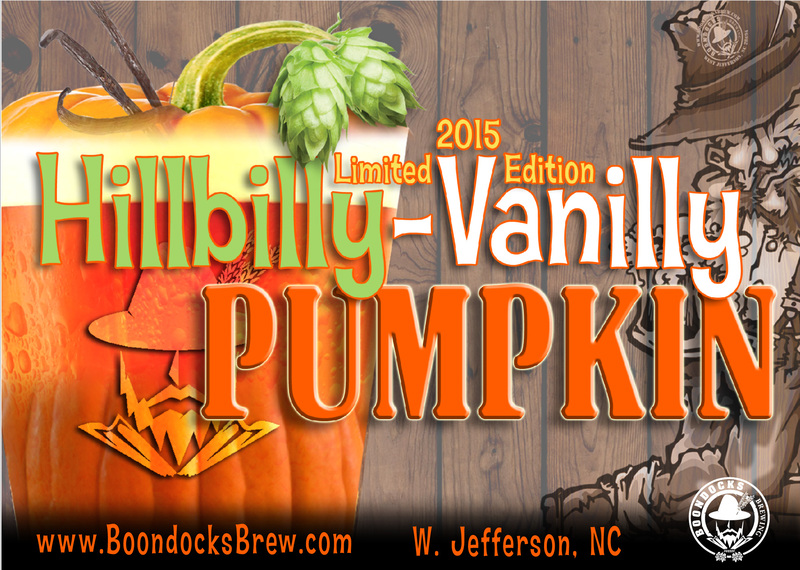 We also lean on the lighter side of the Vanilla scale to further balance out this beer. We normally only brew this beer once or maybe twice each year so make sure and keep posted to find out when we will have this one tap again. This Black IPA has a rich dark color from our use of just the right amount of Black Patent Malt and Roasted Barley. We use a generous amount of Simcoe, Cascade and Willamette hops to balance the sweetness of the malt with the natural bitterness of the hops. After primary fermentation we dry hop with fresh Citra leaf hops to add a nice aroma and smooth finish. 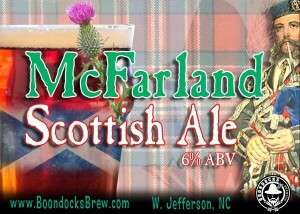 Brewed in honor of one our local businesses McFarland Publishing. 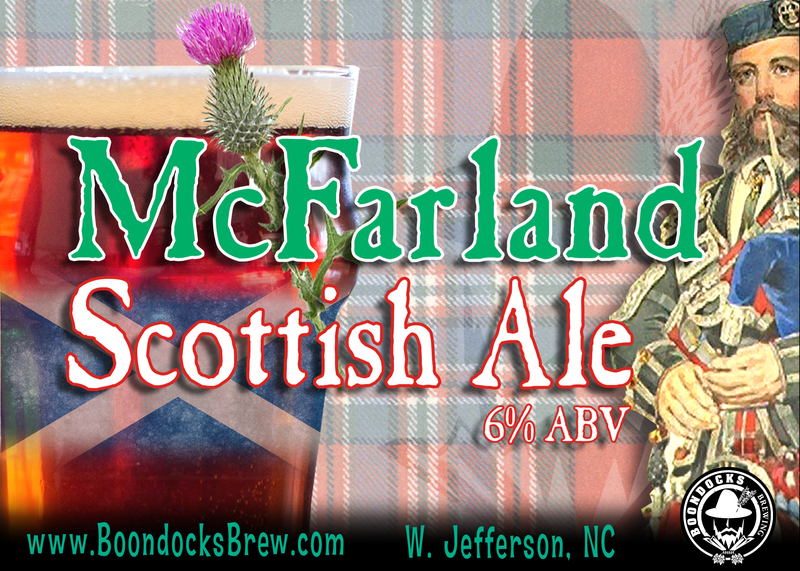 This Scottish style Ale is brewed with with US 2-Row, an assortment of specialty malts to include Peat-Smoked Malt combined with East Kent Goldings and Williamette hops. 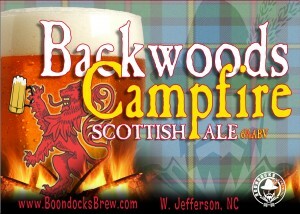 A mild ale with a hint of smoke on the finish. This tasty Ale with the light color has a considerable bite coming in at 8% ABV. This ale boasts a hefty amount of Pilsen Malt and Honey Malt that provides a solid Malt backbone and balance to the Tettnang and Hallertauer Hops. 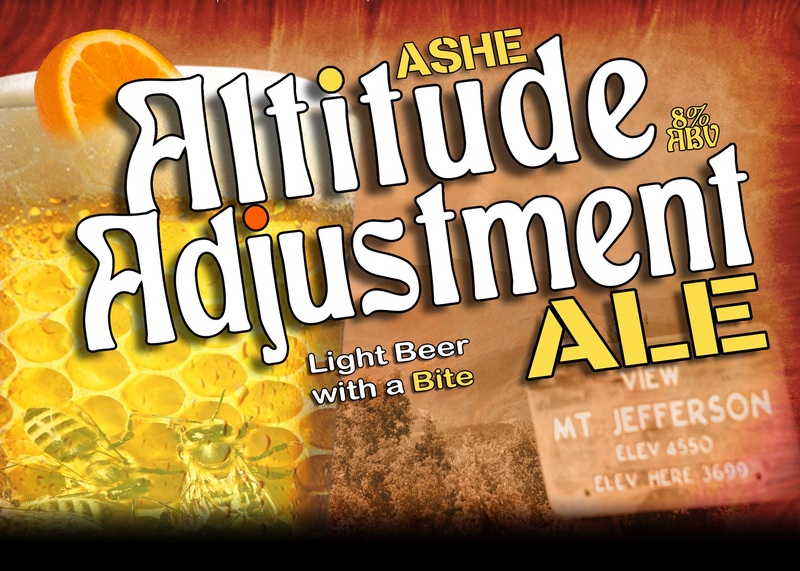 We also use local Ashe County Goldenrod Honey and sweet orange peel to add that little something to this Adjusted Altitude Ale. 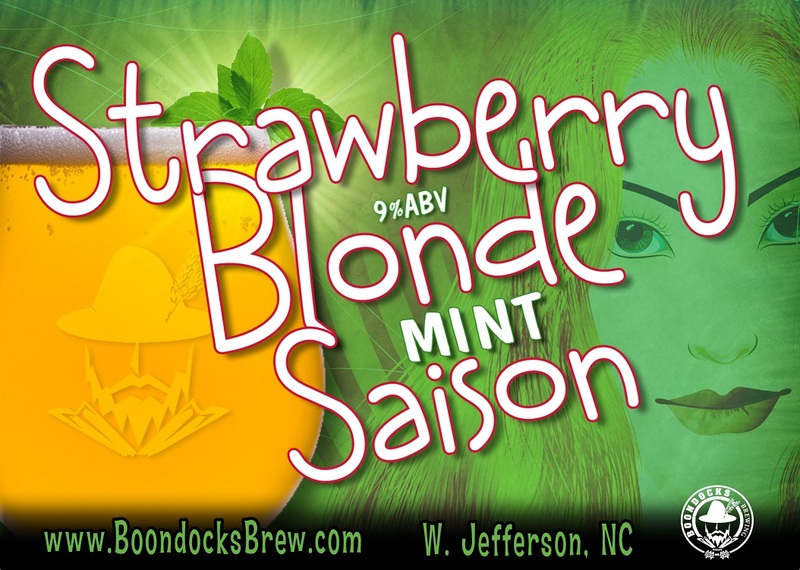 A crisp Saison style Ale with a balanced blend of Strawberries and fresh mint that creates a refreshing and very drinkable 9% beer without all of the heavy boozy undertones that you would expect from a high ABV beer. 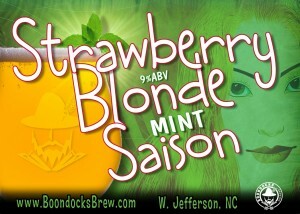 Neither the Strawberries or the Mint are over powering and this is definitely not a "girly fruit beer". 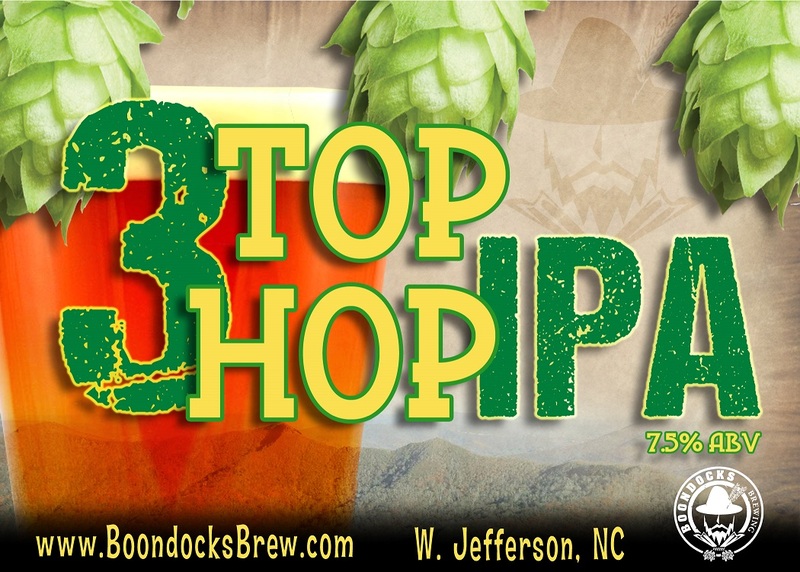 Named for Ashe County’s own Three Top Mountain, this India Pale Ale was brewed using a combination of 3 different hops which were added at 3 different times. 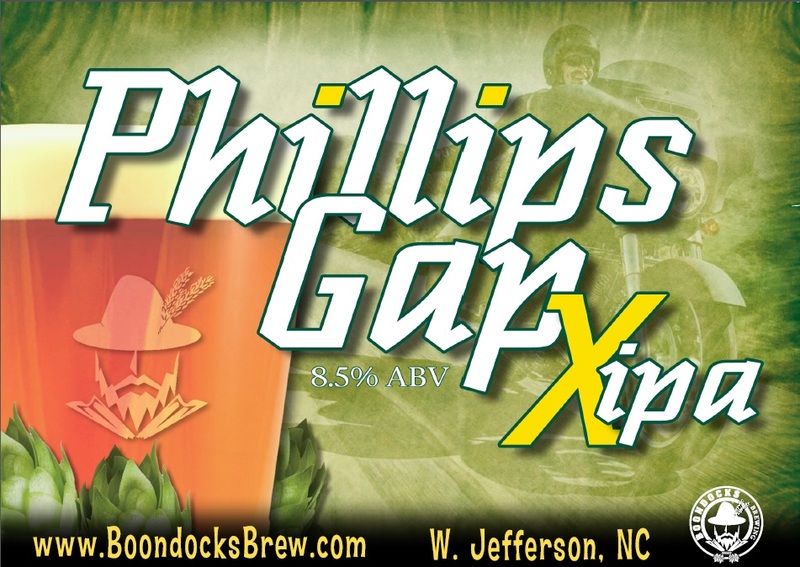 This blending of hops adds the right amount of bitterness and aroma while still allowing the malt flavor to show through. 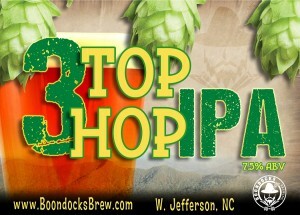 We also dry hopped this batch 3 times which results in a citrusy-floral finish. 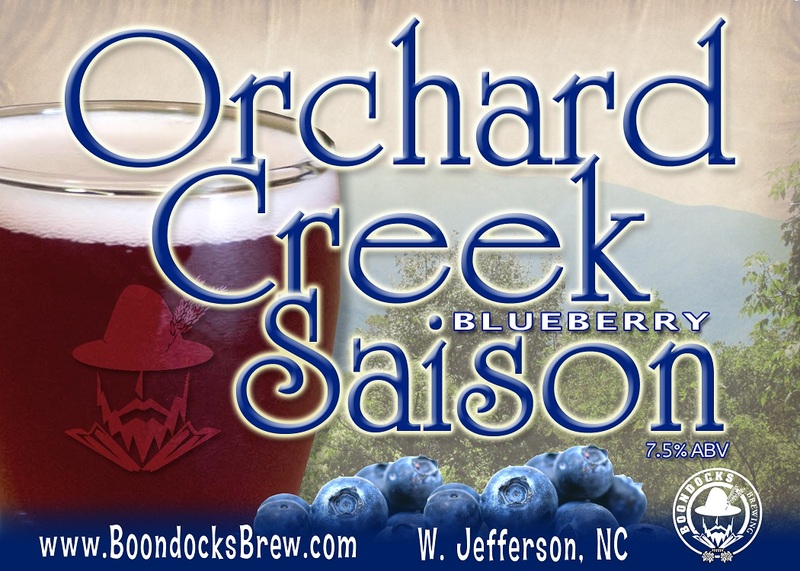 This refreshing Saison is built using local blackberries and blueberries and Lemondrop Hops. The result is a crisp and refreshing beer that is well balanced and not overly fruity. Once you put your glass down you will notice the lingering tart lemon notes on the pallet.